Do you ever wonder why your cat acts so distant and aloof? Well its probably because its actually ancient nobility and it feels you're not giving it the royal treatment it deserves. 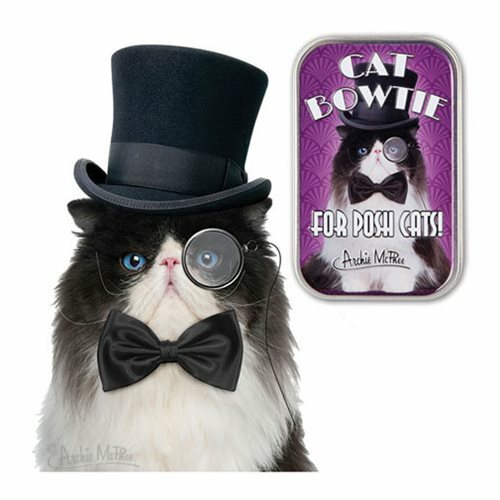 Spiff up your cat by giving it this dapper Cat Bowtie which measures 3 3/4-inches x 2 1/2-inches x 3/4-inches and slips onto a cat sized collar. Now it is sure to command the respect of its feline brethren and in turn respect you back. Or it might just scratch you... No Guarantees.